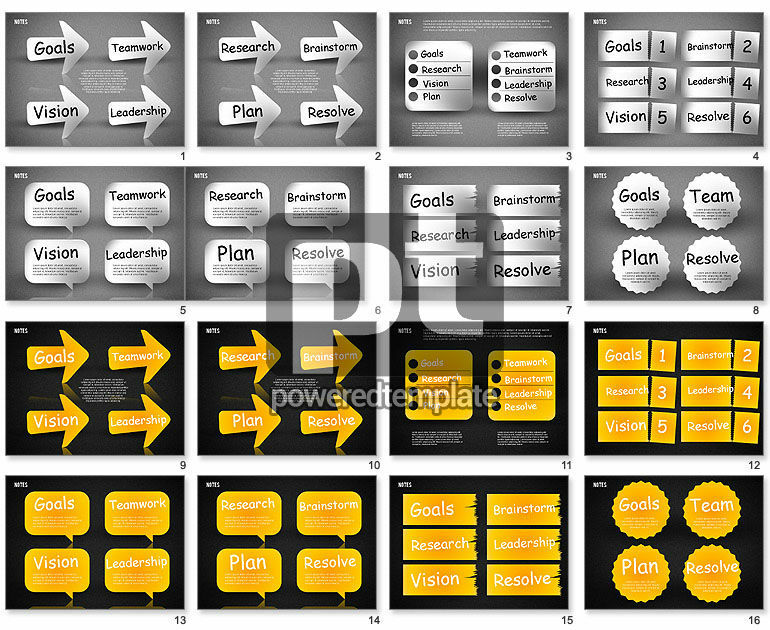 These presentation slides 42574 are complete compatible with Google Slides. Simple download PPTX and open the template in Google Slides. This glamorous template will suit perfectly for your presentations dedicated to to-do lists, brainstorming, team plans, team work, options, progress, step by step actions, leadership and so on. It contains various colorful stickers, icons, arrows, numbers and so on. If you’re going to make a presentation about workflow, planning and making decisions, this theme is exactly what you need.